The second exciting thing is that Fiona, of Poppy Makes, has already put together our I Spy Snowball blocks from last month into a quilt top! It is destined for Project Linus, bound to make some boy very happy. So now it is official, I have to do snowballs with my I Spy charms from my various swaps over the last year. 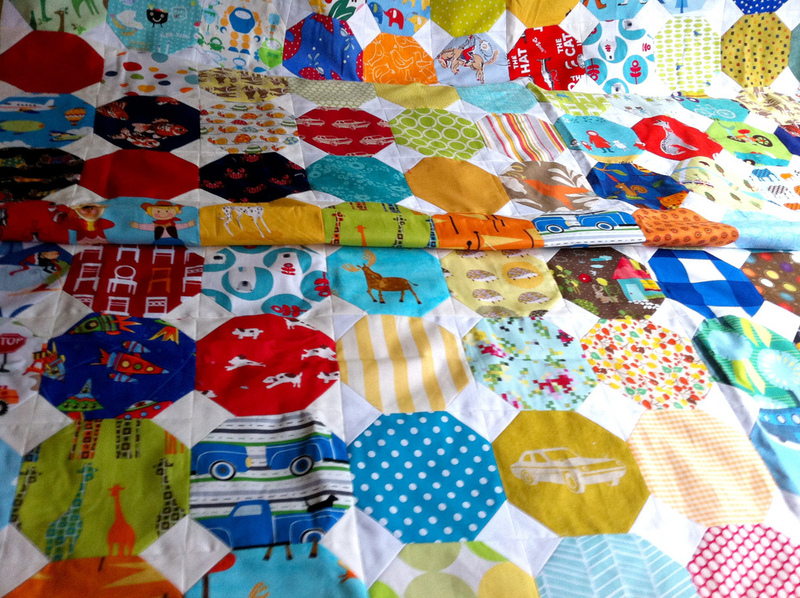 Ugh, but the thought of sewing all those little white squares is daunting... But, they look so awesome!!! Holy Cow! 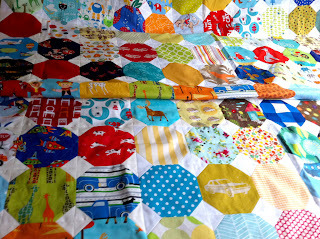 Did you see how this quilt turned out? Hollie at the Undercover Crafter did an amazing job with it. Wow, that's a lot of excitement for one month!